A drunk driver caused a serious collision Sunday night in Kennewick, sending a father and toddler to the hospital with injuries, according to the Washington State Patrol. The incident occurred around 9:30 p.m. along Highway 24 in Benton County. A 46-year-old Othello man heading east in a Ford Edge pulled in front of a westbound Toyota Corolla. The 20-year-old driver of the Corolla was treated at Trios Southridge Hospital in Kennewick. The passengers, a 23-year-old father and 13-month-old child, were injured. Both the father his toddler had surgeries scheduled for their Sunday-night injuries. The father has internal injuries including possible damage to a kidney and his intestines. The child, who was properly buckled in the Corolla’s backseat, suffered an injured liver and was flown to Harborview Medical Center in Seattle. The drunk driver and his passenger, a 32-year-old Othello woman, were treated at Kadlec Regional Medical Center in Richland and released. The drunk driver was booked Monday into the Benton County jail on suspicion of vehicular assault and DUI. On Wednesday he was charged with two counts of felony vehicular assault. He was ordered held on $100,000 bail. According to court documents, the drunk driver told police he was talking to his girlfriend at the Highway 24/240 intersection and just took off. He said that is the last thing he remembers. At first he told police he had “a couple” drinks that evening. But later at Kadlec he admitted sharing two bottles of wine between four people. The man allegedly showed signs of being intoxicated during field sobriety tests. He refused to give a breathalyzer sample, so a judge granted a search warrant to draw his blood for testing. 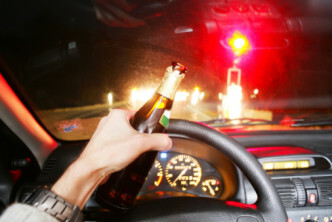 Drunk driving accidents are complicated, and pursuing a legal claim often requires an attention to detail that few attorneys are capable of providing. That’s where the Seattle-based drunk driving accident lawyers at Davis Law Group, P.S., come in. As a victim of a DUI collision, you need a lawyer who is willing to go to the scene of the accident and personally investigate the crash. Interviewing witnesses, tracking down police officers, working with the local District Attorney, etc., are all things that attorney Chris Davis can do for you.